According to the Centers for Disease Control and Prevention, 71 percent of adults over age 20 are overweight or obese. Undoubtedly, many of those people are looking for ways to lose weight. 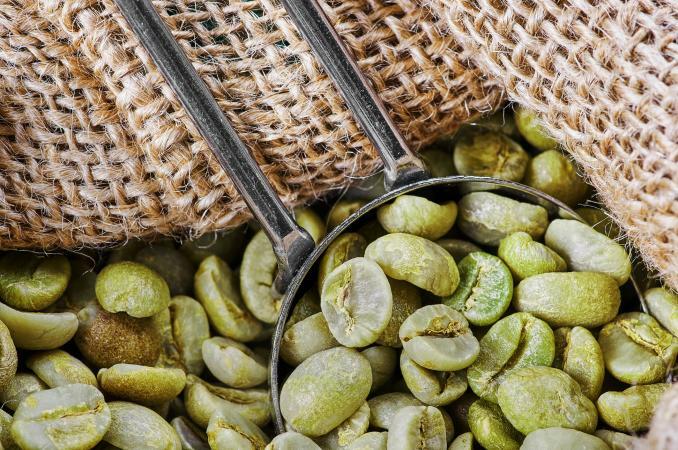 The extract of green coffee beans is used as a weight loss supplement. In 2012, it gained popularity after Dr. Oz proclaimed it can help people burn fat without diet and exercise. The study Dr. Oz relied on to support his conclusions was later retracted. Still, it remains a popular supplement that may have health benefits. Coffee beans are the seeds of coffee cherries, which are the fruit of coffee plants. The supplement is extracted from unroasted coffee beans. Roasting gives coffee beans their rich, dark color. According to WebMD, roasting coffee beans reduces levels of chlorogenic acid, a plant compound thought to have health benefits. Since green coffee beans aren't roasted, they have higher levels of chlorogenic acid. This supplement is available in capsule or powder forms. It's easy to find on Amazon and in most pharmacies and natural health stores. Prices vary according to brand. Expect to pay between $10 and $20 for 30 to 60 capsules. According to Medline Plus, the extract is possibly safe when taken in doses up to 480 mg for up to 12 weeks. Up to 200 mg five times daily of a product known as Svetol has been used safely for as long as 12 weeks. Since there's no standardized recommended dosage, follow the manufacturer's instructions or ask your doctor how much you should take. For weight loss, the extract is often taken 30 minutes before a meal. Lower blood pressure: Research published in the journal Clinical and Experimental Hypertension found the chlorogenic acid in the extract safely lowered systolic and diastolic blood pressure in people with mild hypertension. Promote weight loss: A 2010 systematic review and meta-analysis on the use of the supplement as a weight loss product published in Gastroenterology and Research Practice concluded the extract has the potential for promoting weight loss. Researchers cautioned most studies to date were of poor quality, and more rigorous, long-term trials are needed. A 2016 study published in the Asian Pacific Journal of Tropical Medicine found the extract had an anti-obesity effect in obese mice. Lower blood sugar: Coffee is associated with a decreased risk of type 2 diabetes. A study published in Diabetes Care found chlorogenic acid and trigonelline, an alkaloid in coffee, may be why. Thirty minutes after ingesting a coffee supplement or a placebo, study participants had an oral blood glucose tolerance test. The tests took place four times over six days. Results showed people who ingested chlorogenic acid and trigonelline had much lower blood glucose and insulin concentrations during the test. The extract contains caffeine. In some people, caffeine may cause side effects. Don't use the extract if you're sensitive to caffeine. Caffeine may interact with or increase the strength of some prescription and over-the-counter drugs and herbs, especially those that also contain caffeine. Consult with your doctor or pharmacist before using this supplement with medications or herbs. Although some studies have shown the extract may lower blood pressure and decrease blood sugar levels, caffeine may have the opposite effect. If you have high blood pressure and high blood sugar, monitor your levels carefully and remain under medical supervision while using the supplement. A study published in the Americal Journal of Clinical Nutrition found chlorogenic acid increased homocysteine levels. According to Dr. Andrew Weil, elevated homocysteine levels may be associated with an increased risk of heart attack, stroke, and Alzheimer's, although more study is needed. Either way, it may be a reason to approach the amount of the supplement you use with caution. After Dr. Oz praised this product on his television show, fake news sites cropped up on the internet to encourage people to buy the products for rapid weight loss. The Federal Trade Commission called foul and charged several companies for false advertising. The Food and Drug Administration warns consumers to be cautious about purchasing the products since they aren't well-regulated and may be unsafe. At least one product was found to contain a controlled substance, and it was removed from the market for safety reasons. Only buy from a source you trust. In the end, Dr. Oz's assertions about the extract may prove to be true. It's too soon to tell. In the meantime, a healthy diet and regular exercise is still the best way to lose weight and keep it off for good.